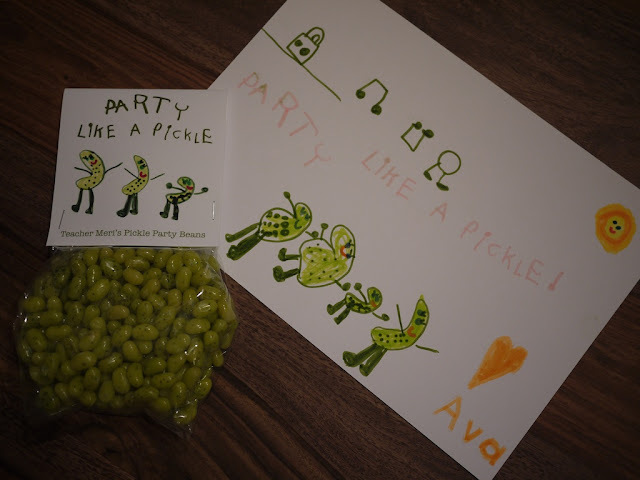 Ava's teacher has a birthday coming up soon. Ava's teacher love Jelly Belly jelly beans. Hmm... if only Jelly Belly made a pickle flavour! 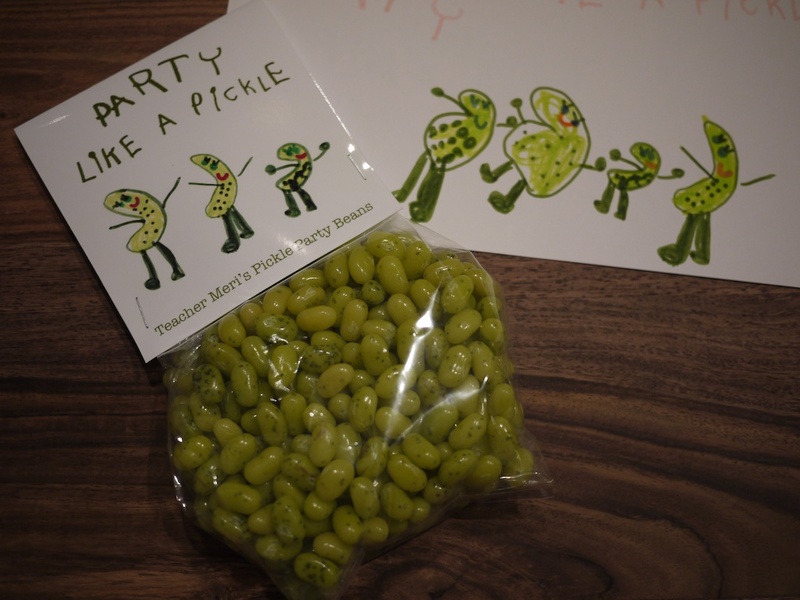 Seeing as they don't we thought we'd make our own "Pickle Party Beans". Ava drew a fantastic picture of dancing pickles, as you do, and I tracked down the most "pickly" looking jelly beans I could find. We put them together and voila! One pack of "Teacher Meri's Pickle Party Beans". 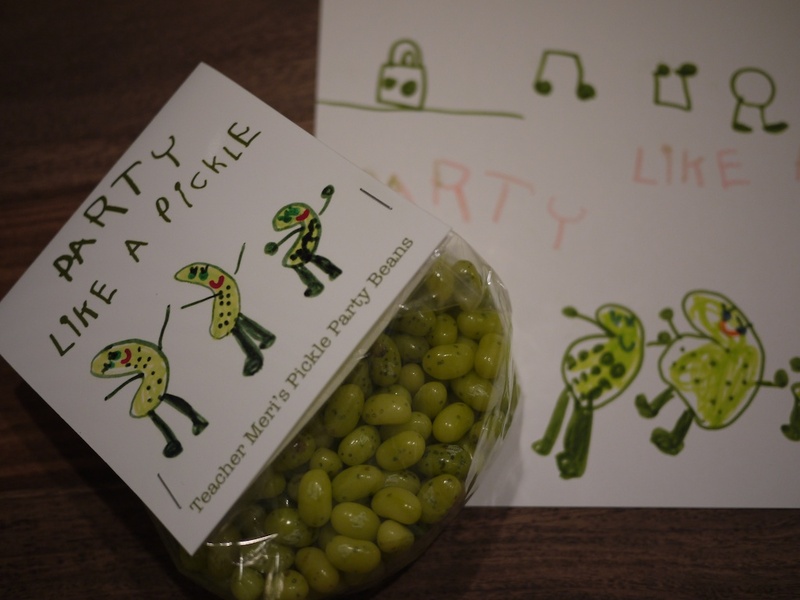 Party like a pickle? 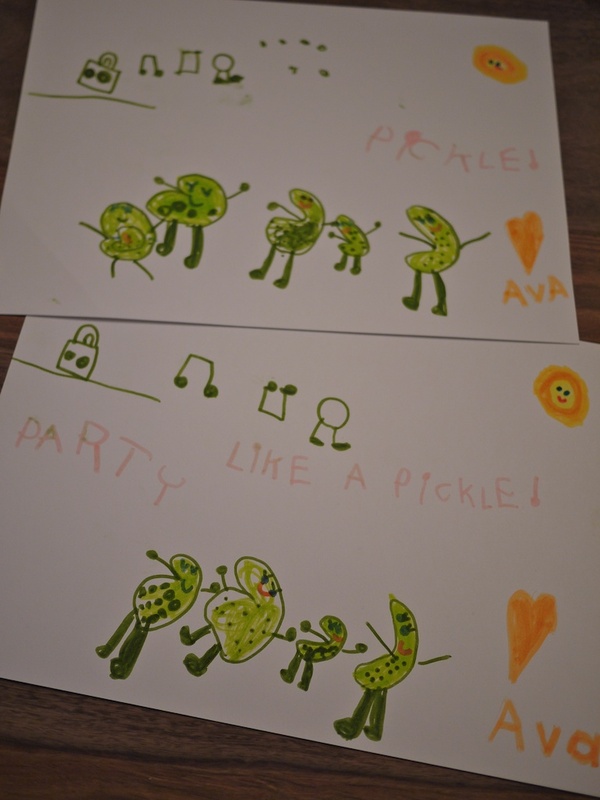 Just how does a pickle party? Be very, very quiet... We're hunting Easter Eggs! A European Holiday... without leaving Berkeley!